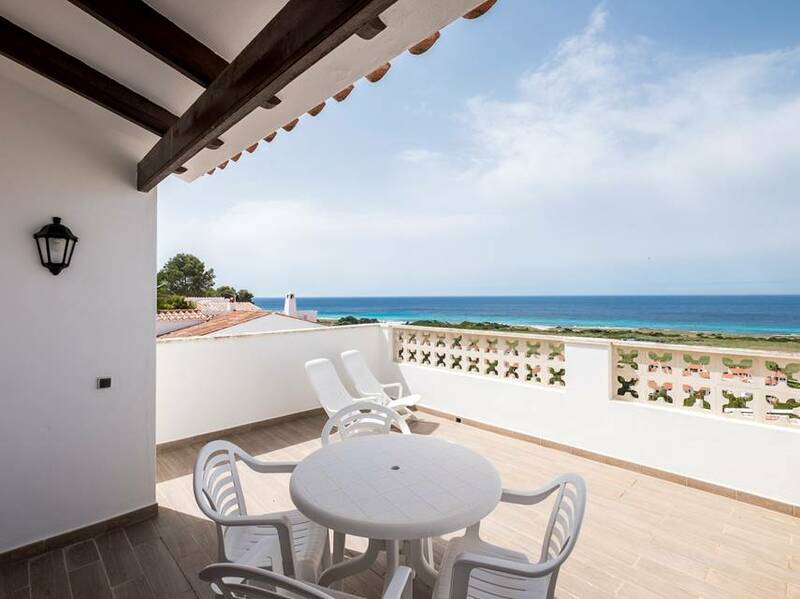 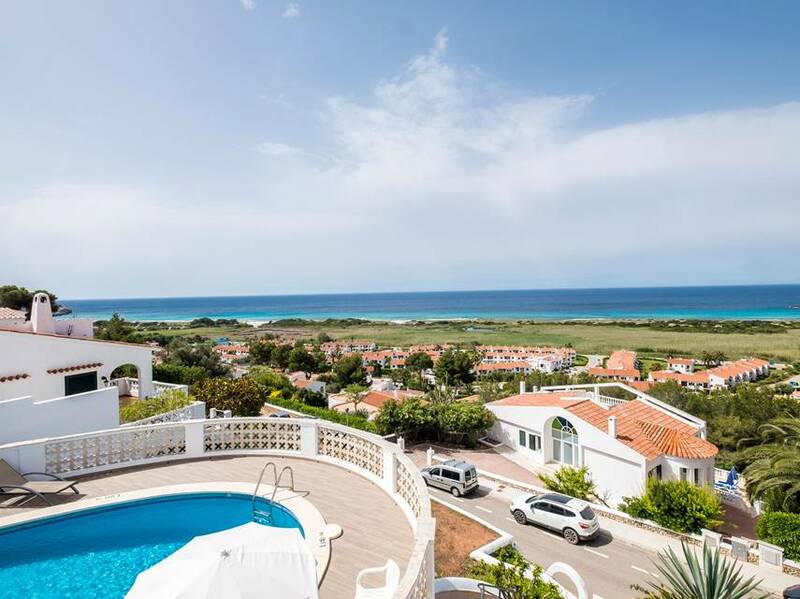 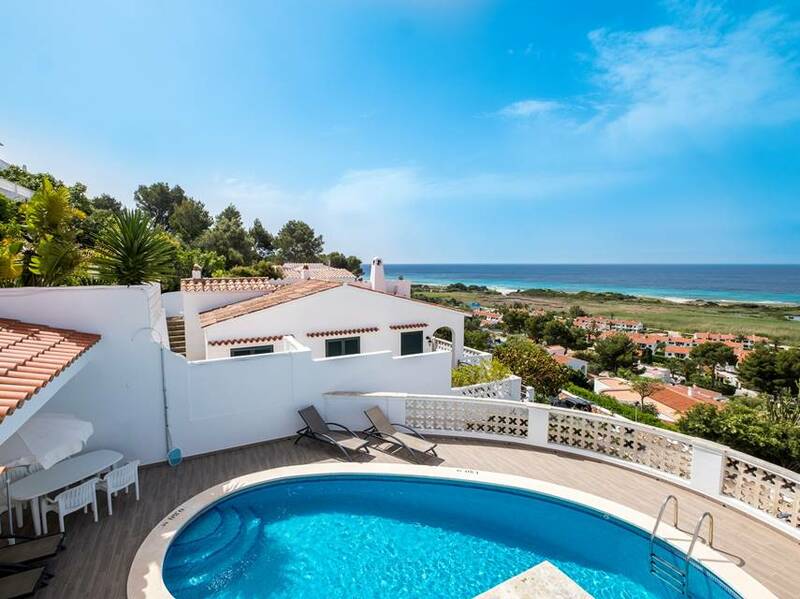 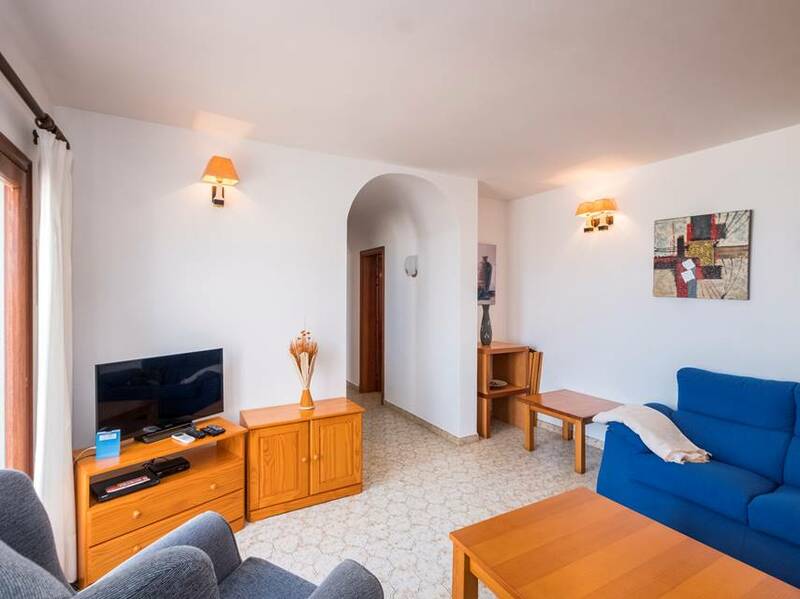 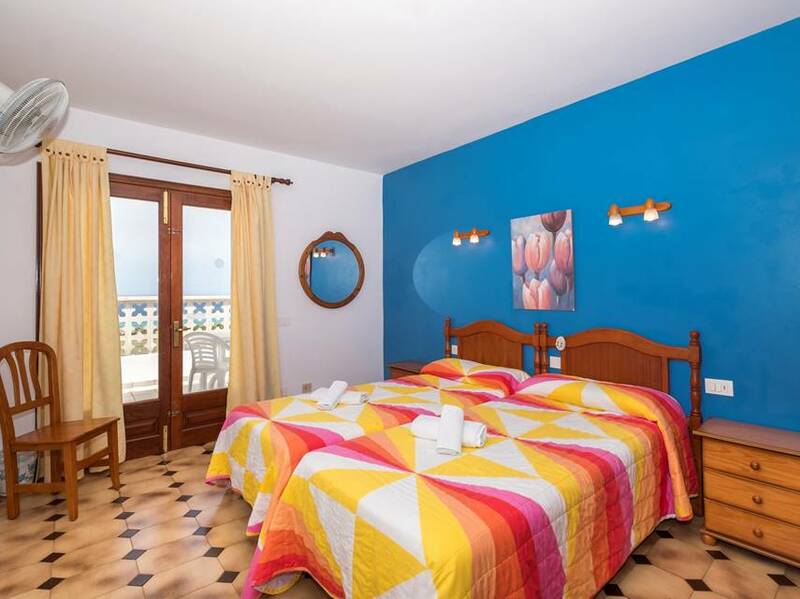 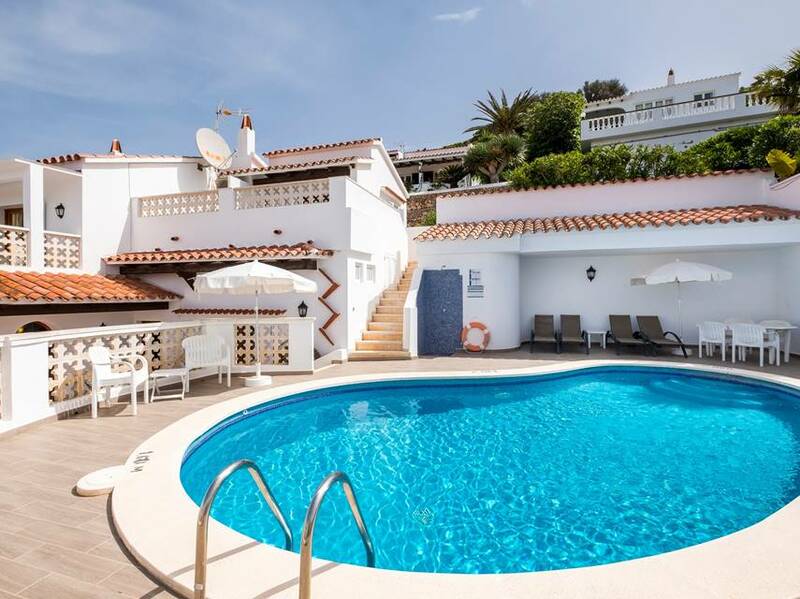 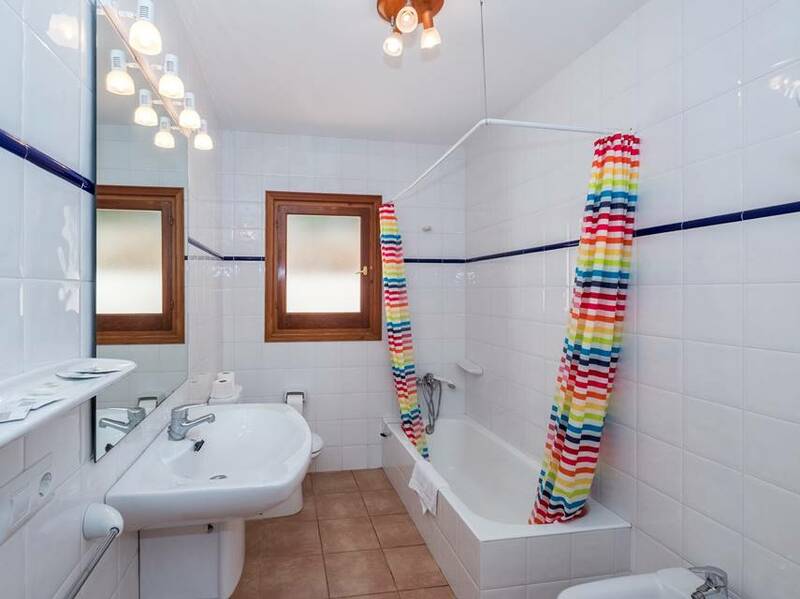 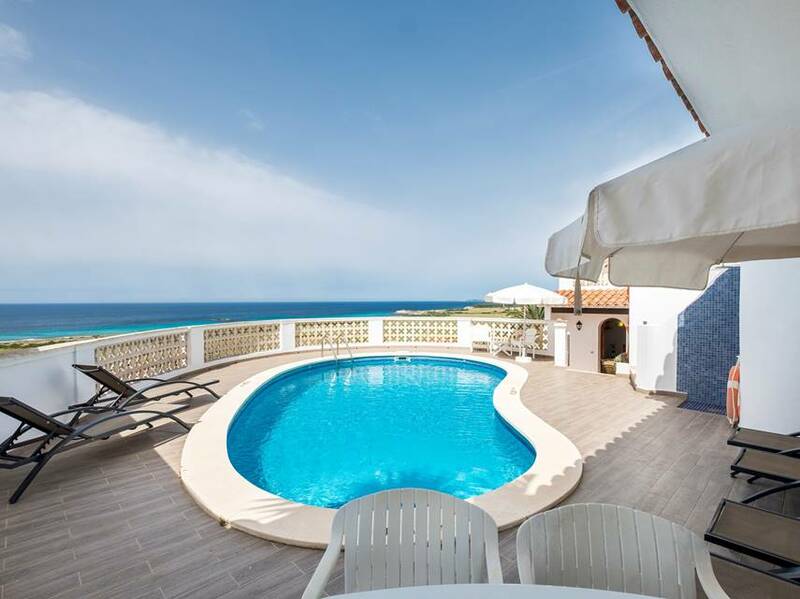 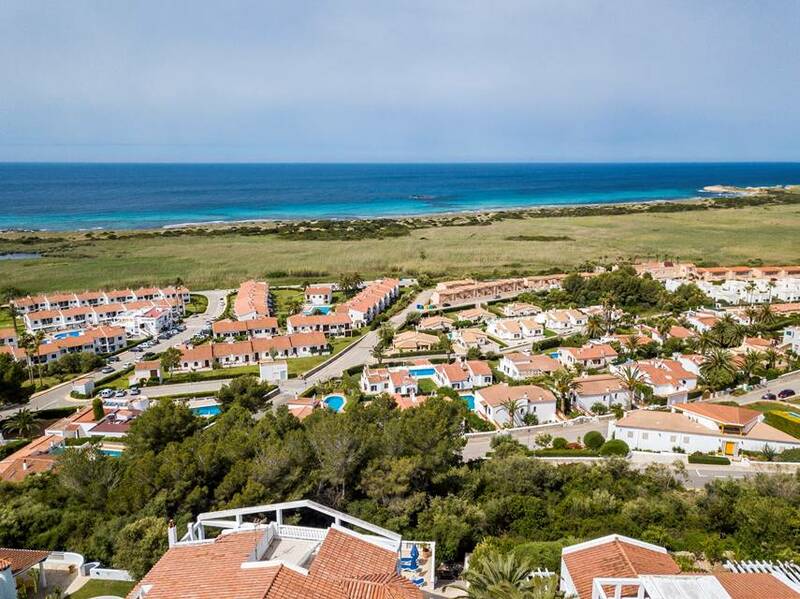 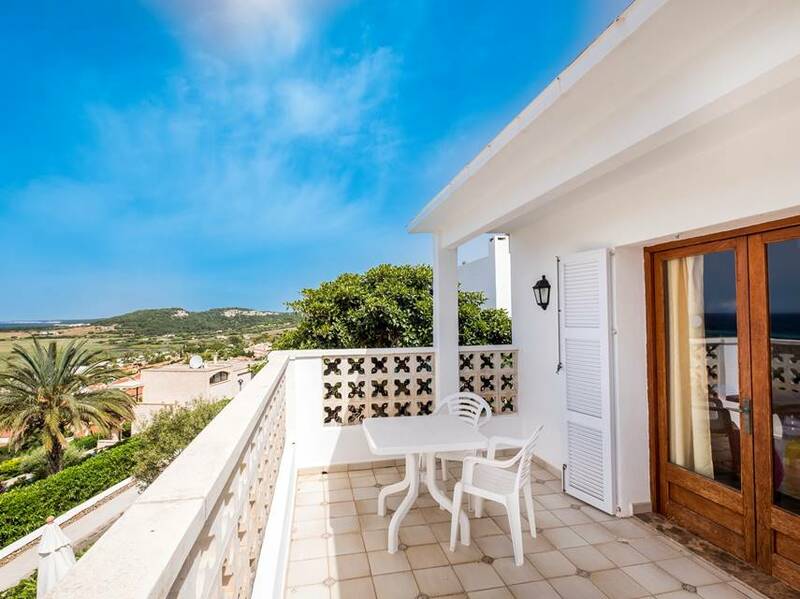 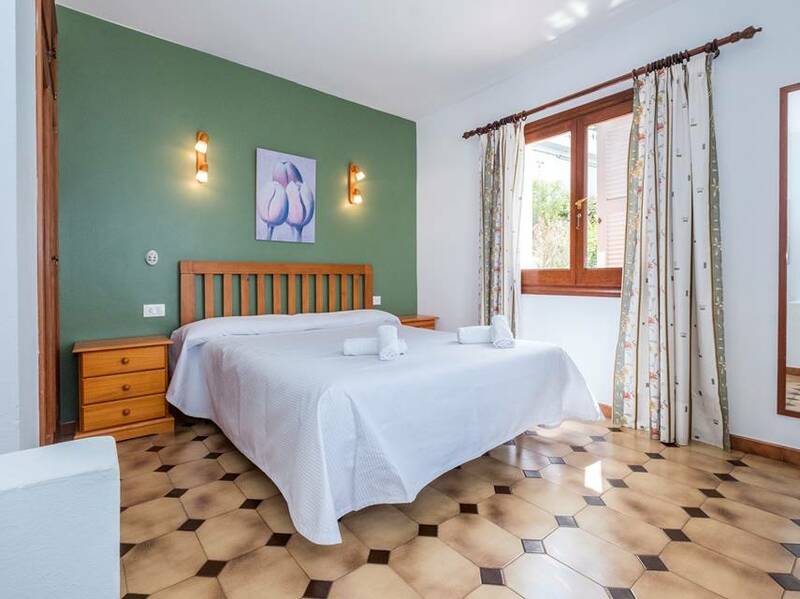 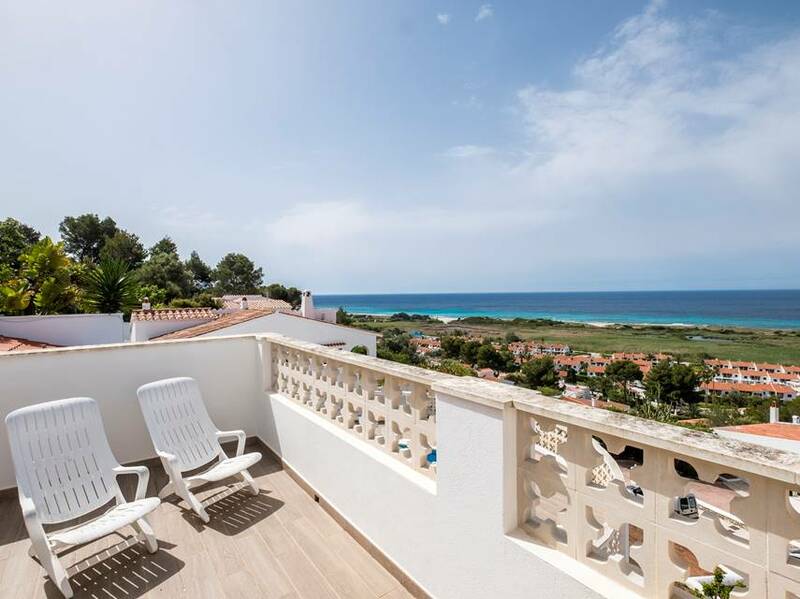 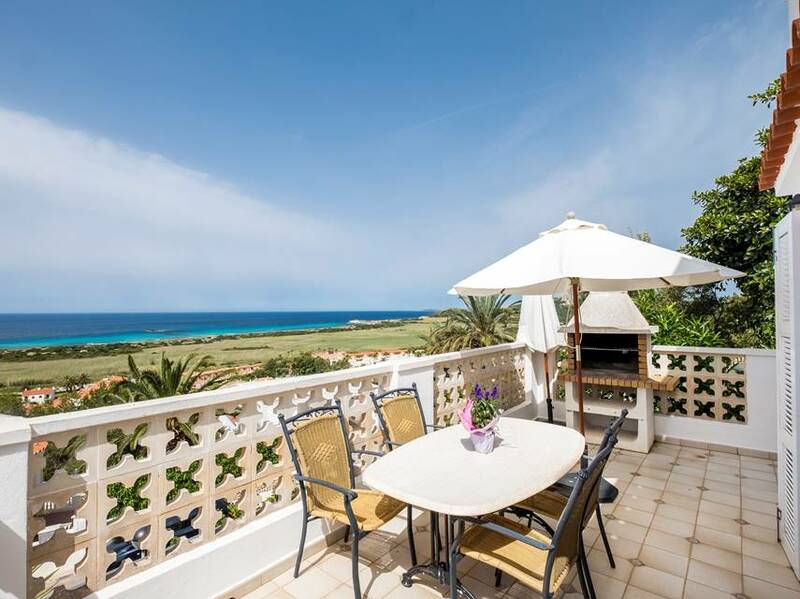 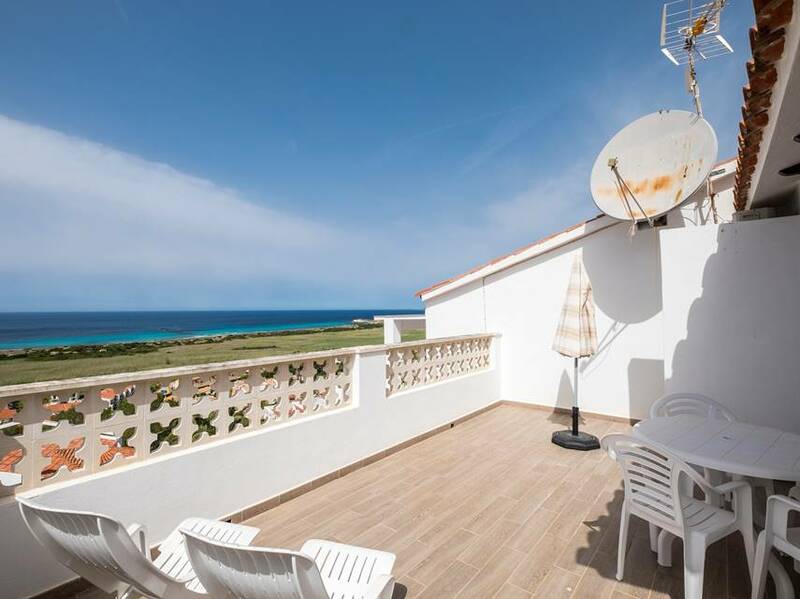 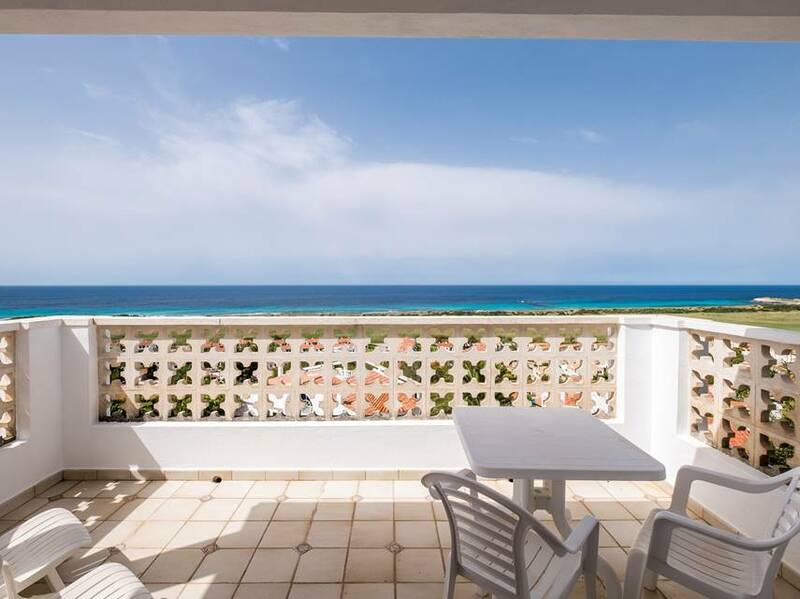 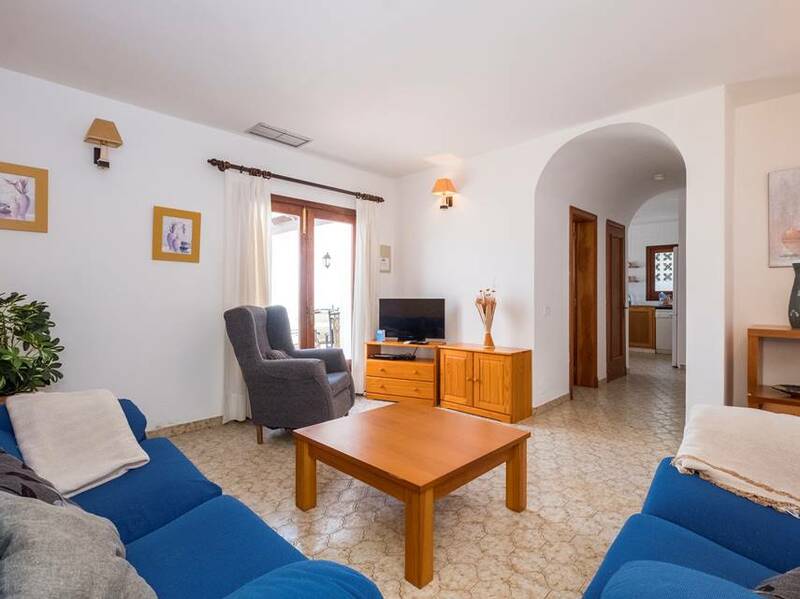 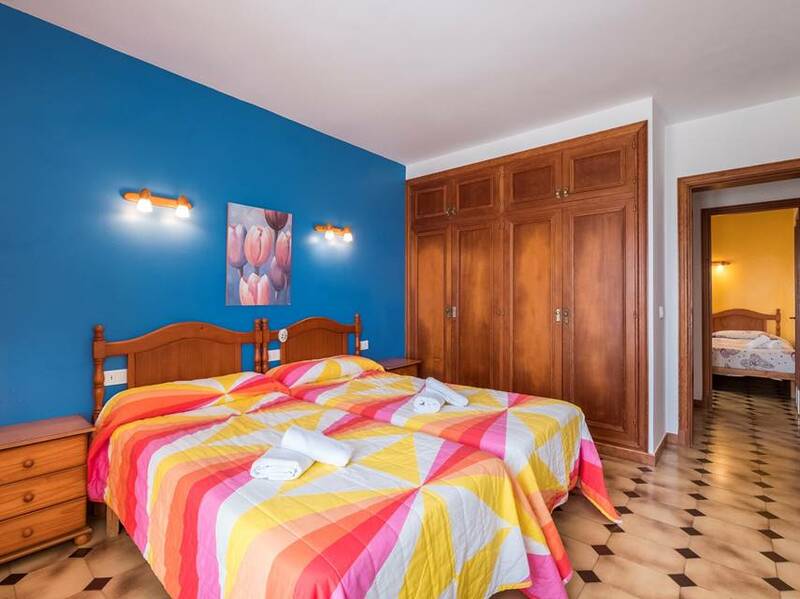 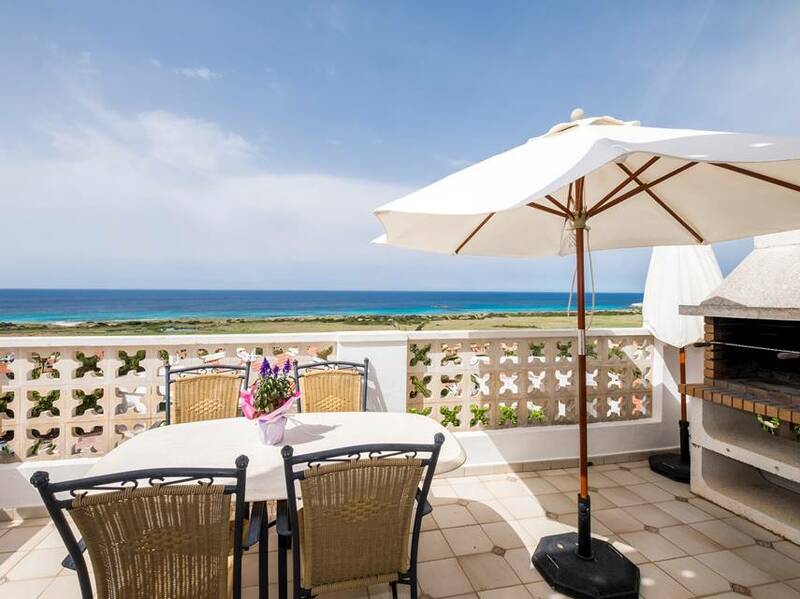 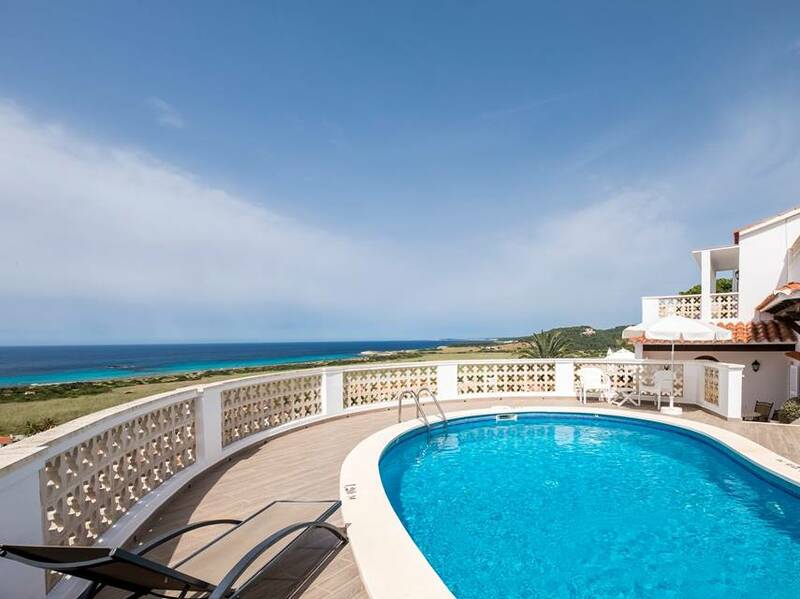 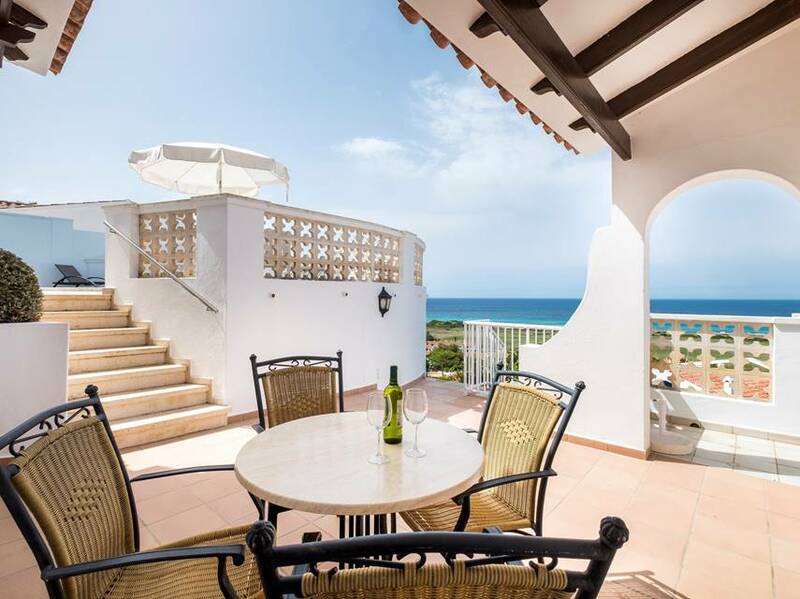 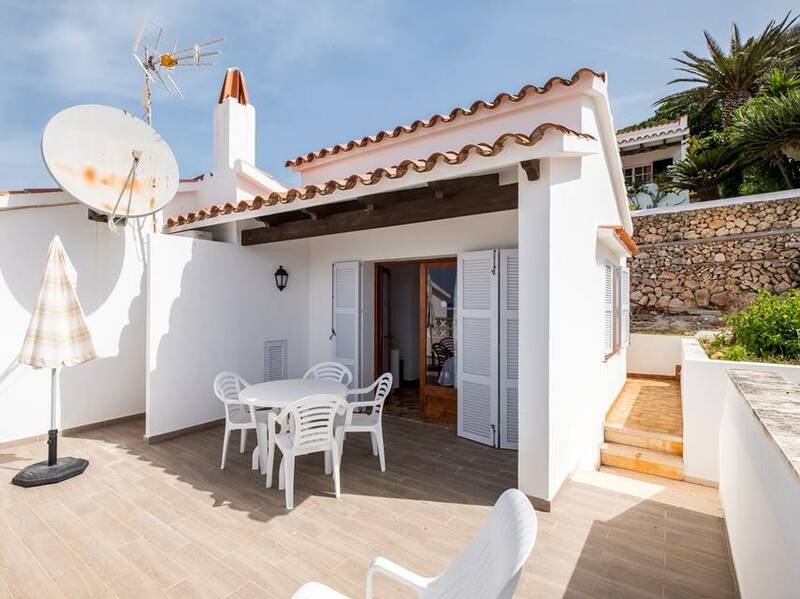 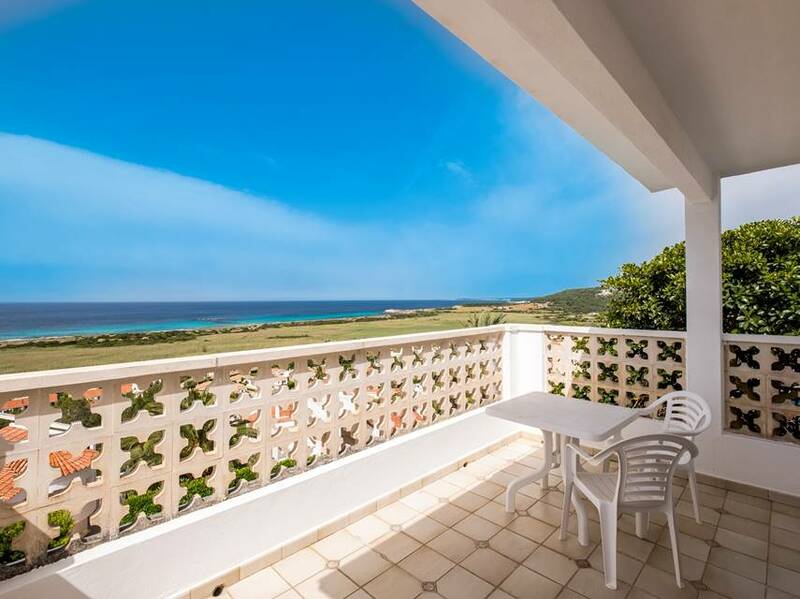 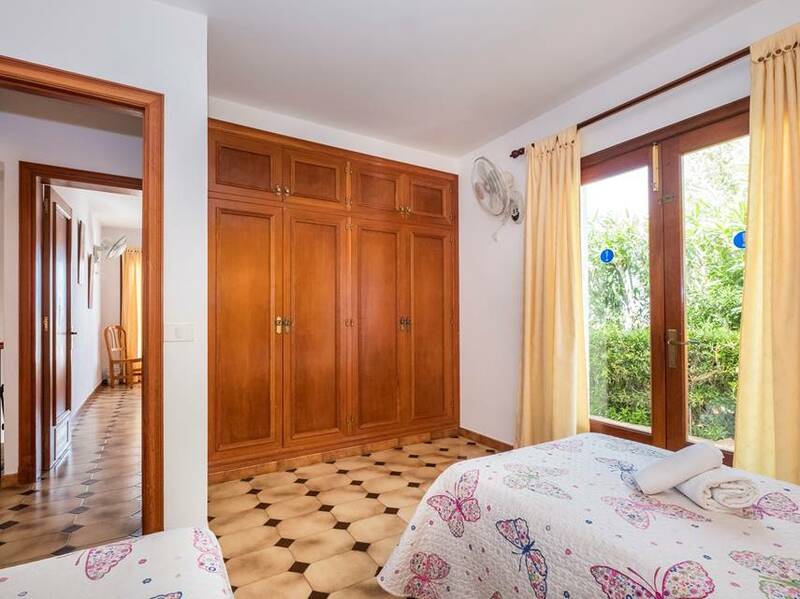 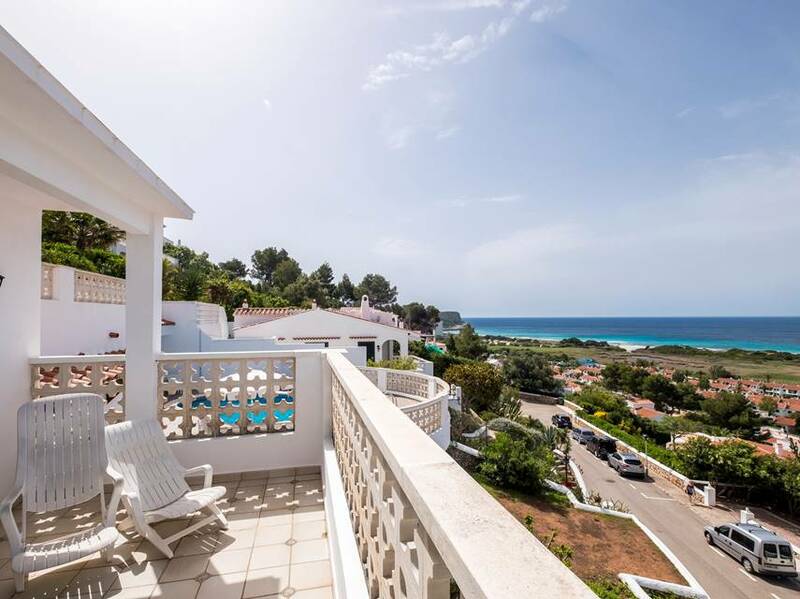 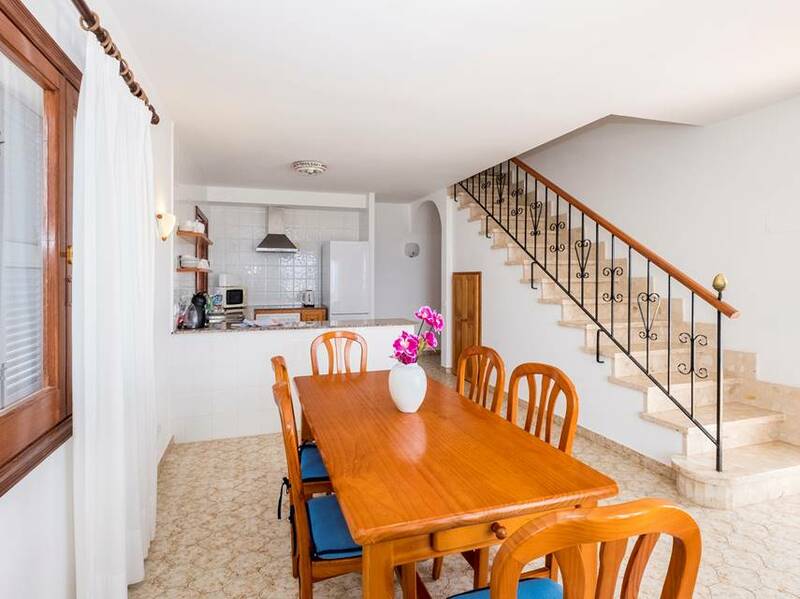 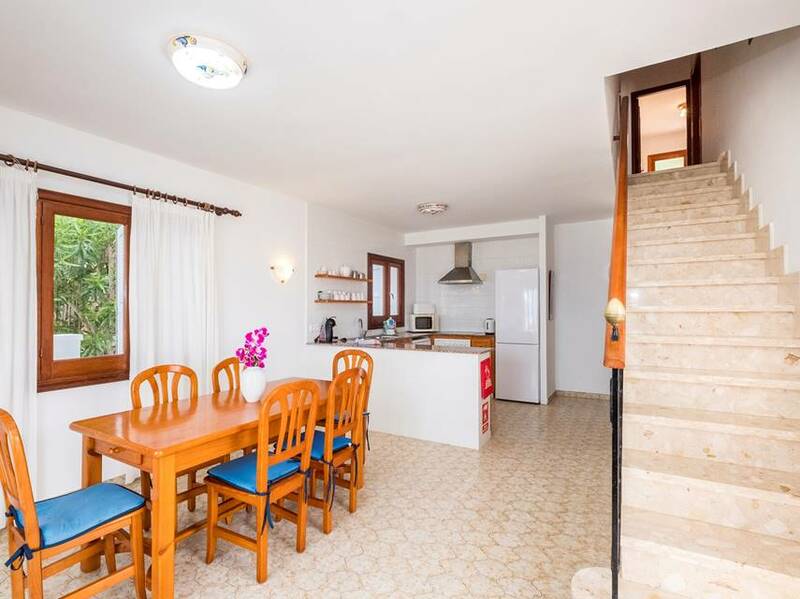 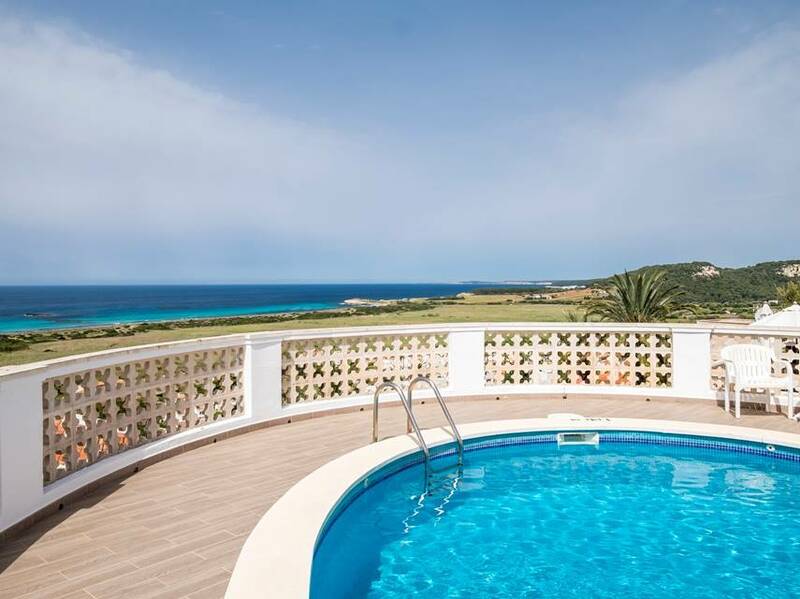 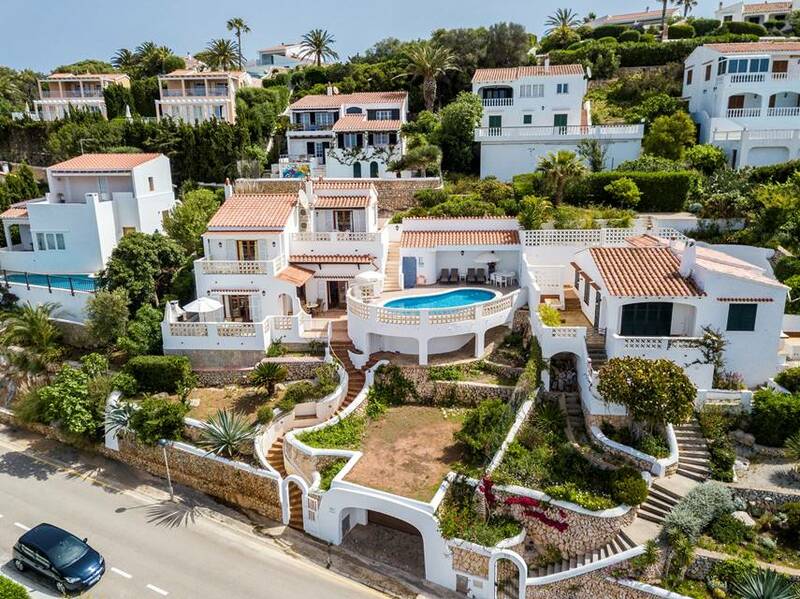 This beautiful country house is located in the upper region of Torre Sol Nou in a privileged location which enjoys unparalled panoramic views of the sea and Son Bou beach from all the rooms. 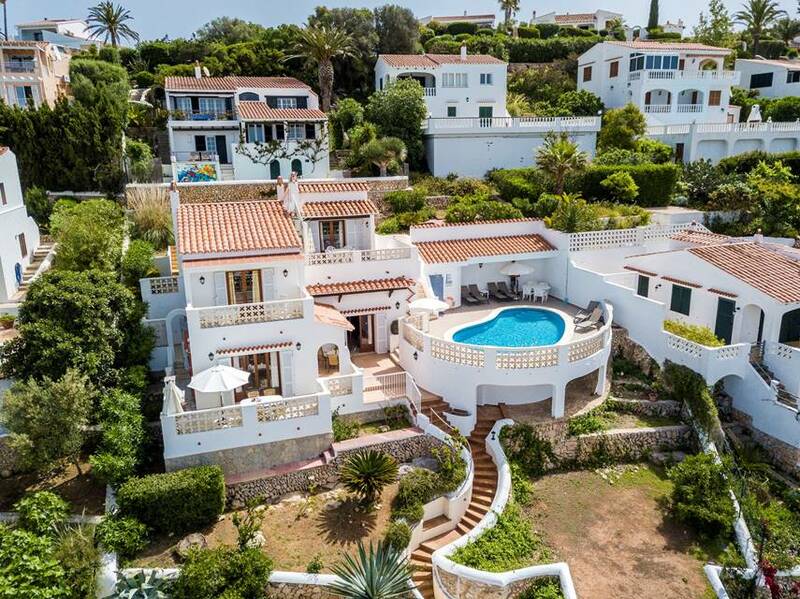 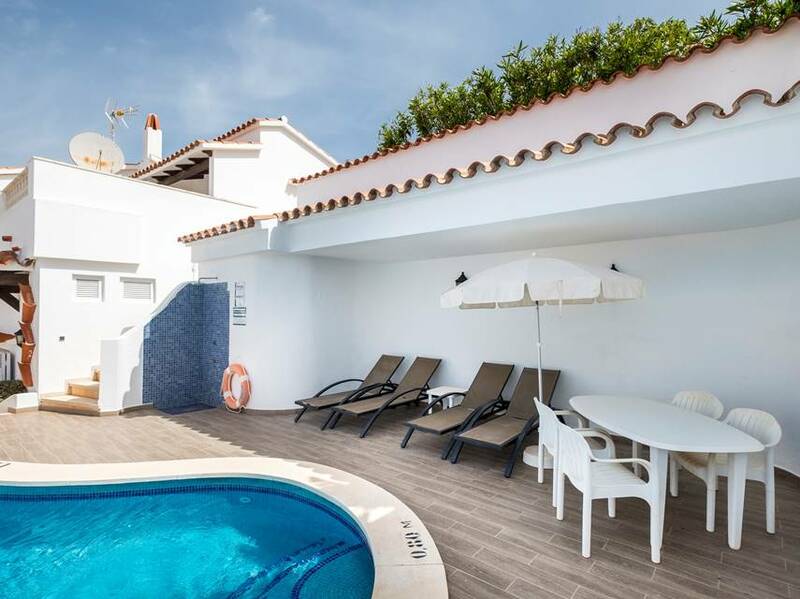 The layout of the house has been designed with the maximum comfort in mind and is constructed on three floors with all rooms on the second and third floor having their own private terraces to enjoy the views. 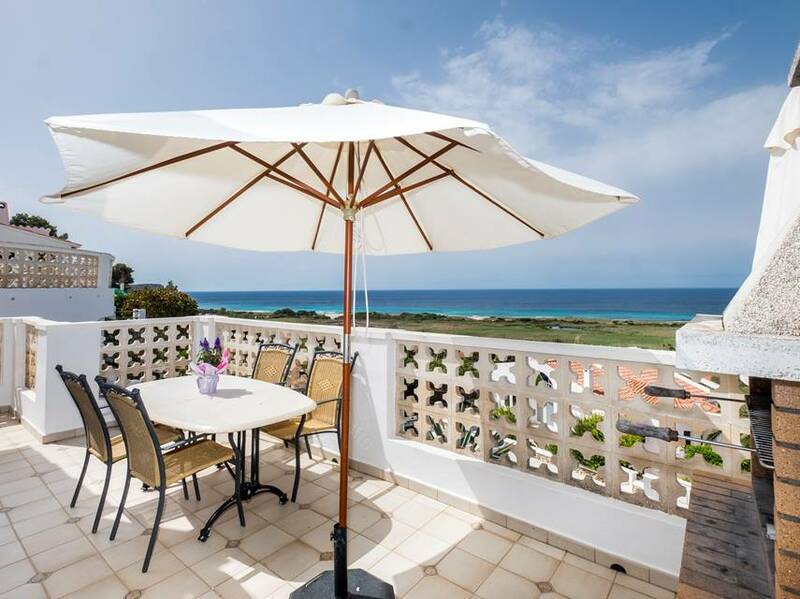 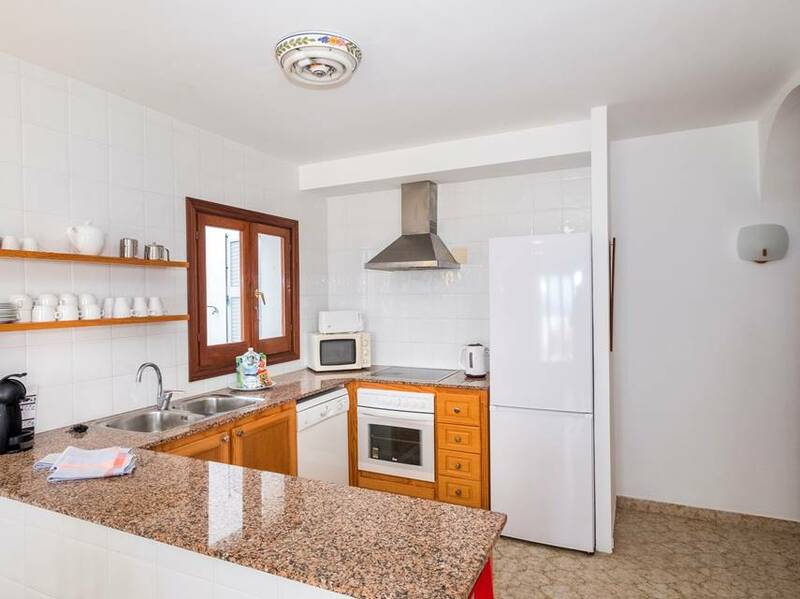 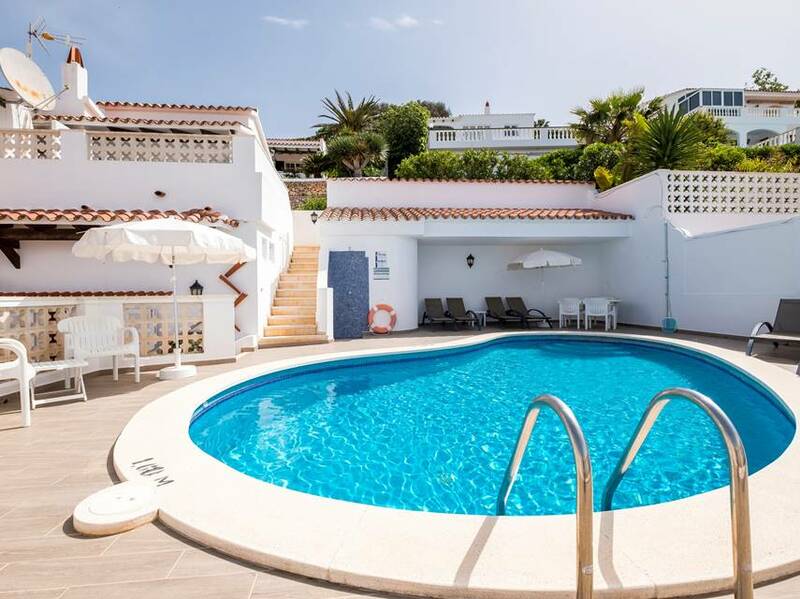 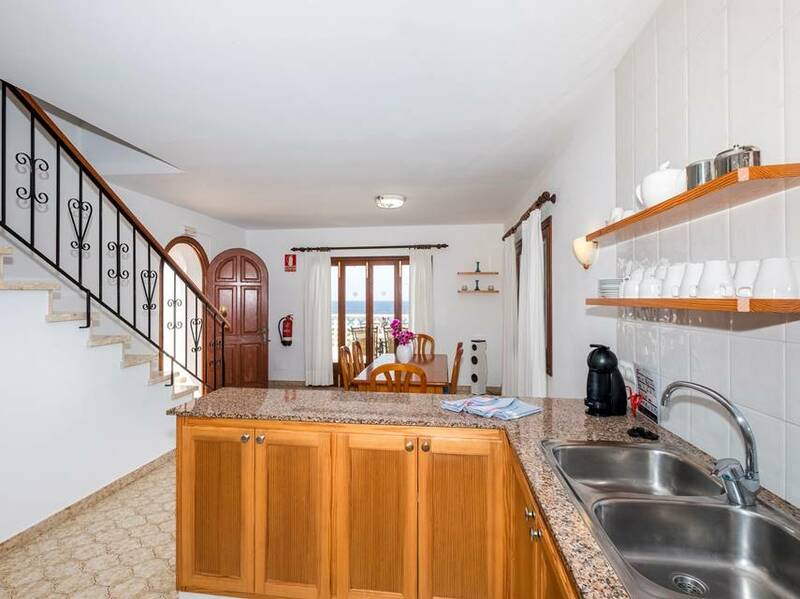 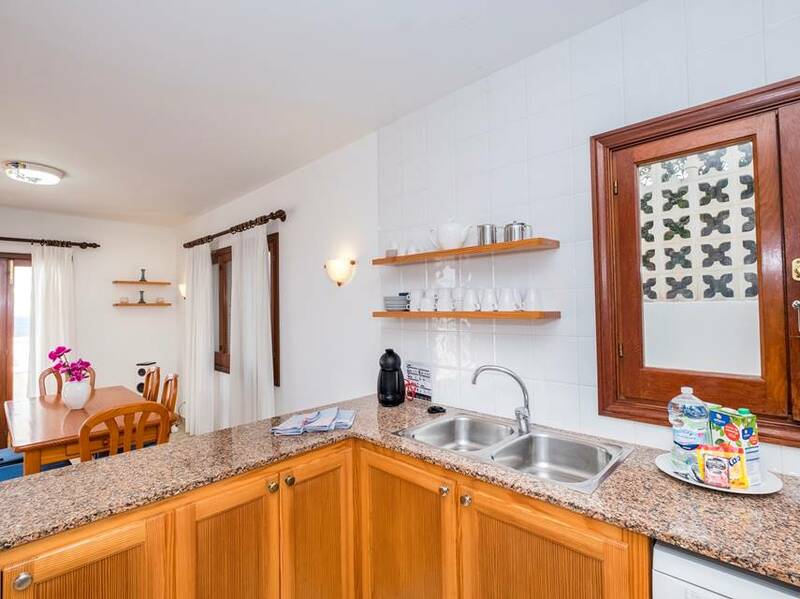 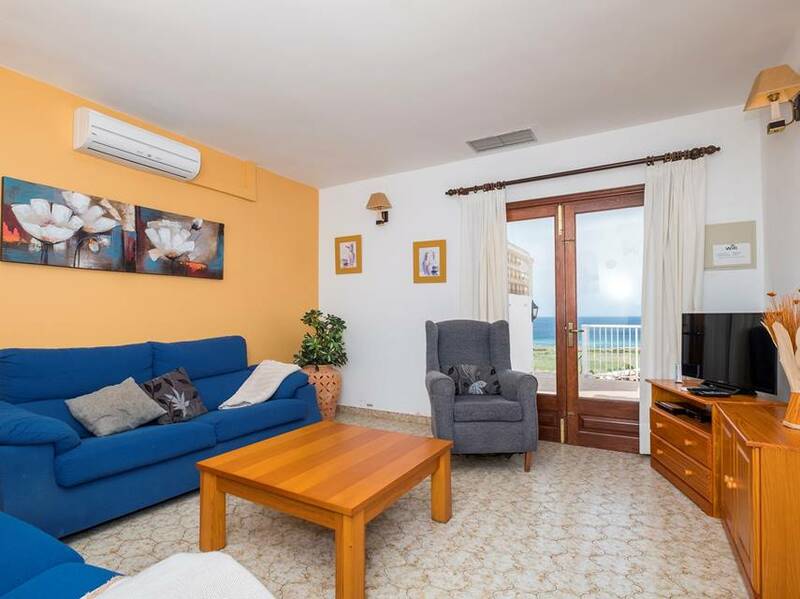 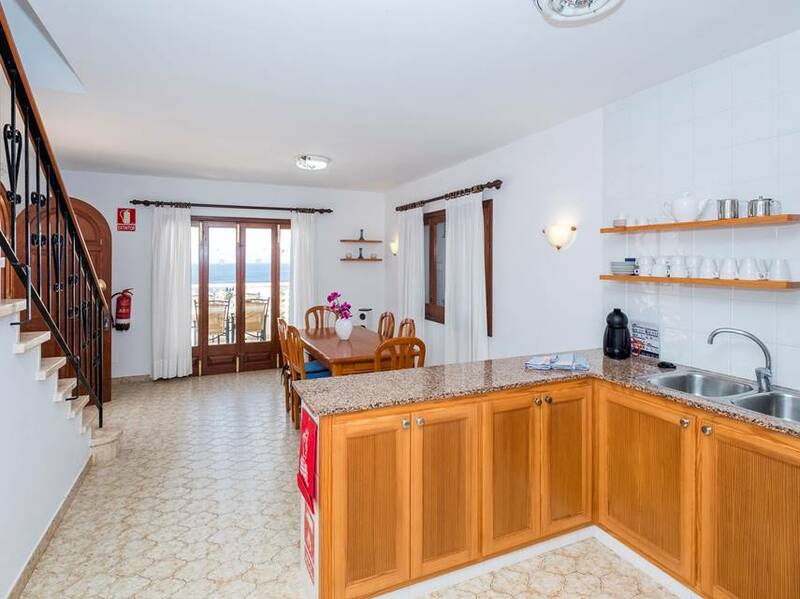 On the ground floor is the spacious dining room and a fully equipped kitchen, a living room, bathroom, indoor laundry room and the upper section of the covered terrace with a barbecue area which doubles as an alternative dining room with fine views out over the sea. 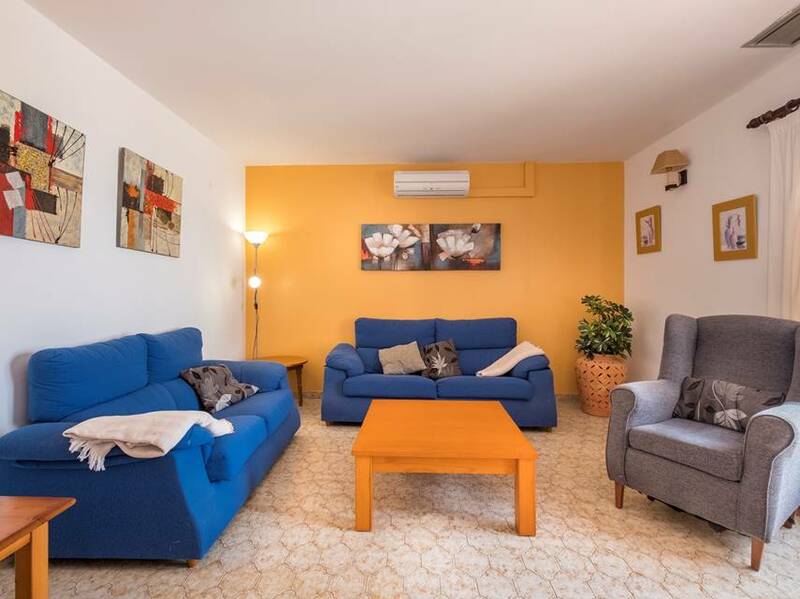 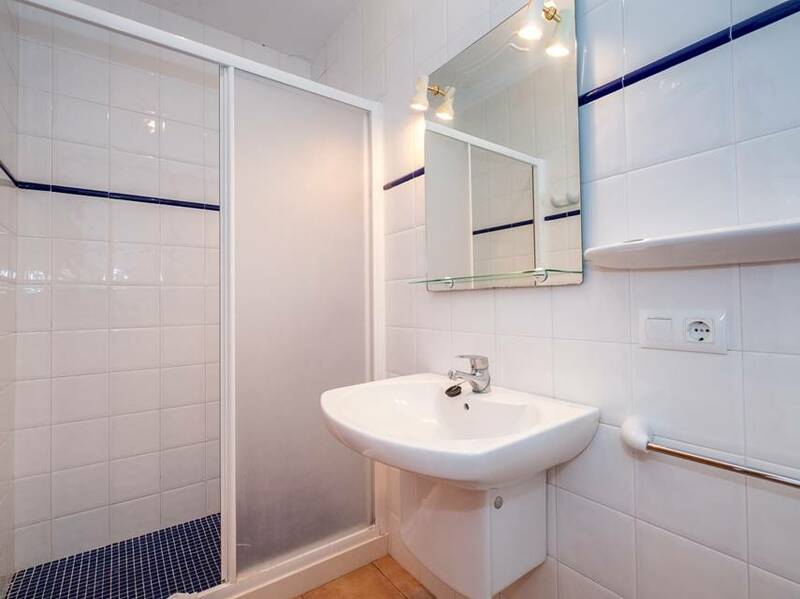 All common spaces are equipped with air conditioning. 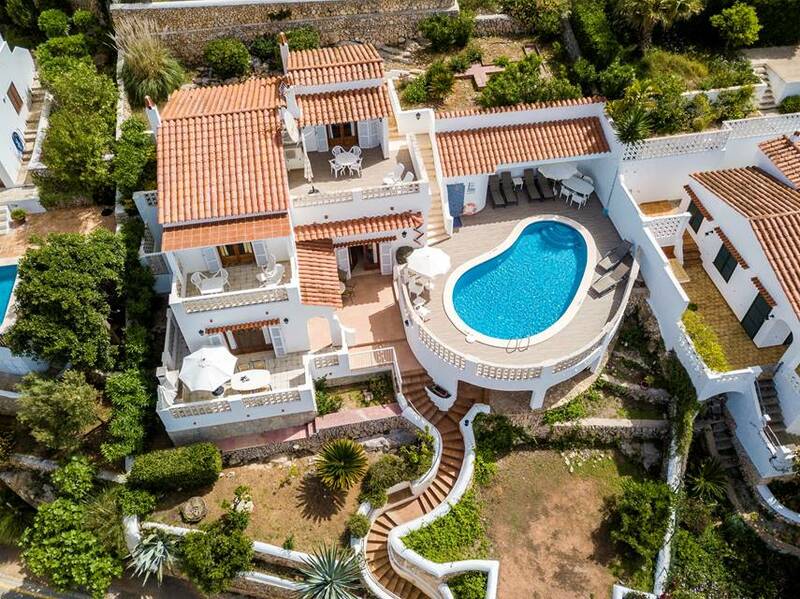 Set into the raised terrace, with steps down through the garden area, is the kidney shaped private swimming pool.